Can I sue the Army for medical malpractice? YES – if the person who was physically injured by the Army doctor, midwife or nurse was a military dependent, or retired military at the time of the Army malpractice you can file a claim to get compensation for your injuries. Does medical malpractice happen at Army hospitals? Madigan Army Medical Center, Tacoma, Washington; Walter Reed National Military Medical Center Bethesda, Maryland; Tripler Army Medical Center Honolulu, Hawaii; Womack Army Medical Center; Ft. Bragg, North Carolina; Carl R. Darnall Army Medical Center Ft. Hood, Texas; Martin Army Community Hospital Fort Benning, Georgia; Fort Belvoir Community Hospital Ft. Belvoir, Virginia; Landstuhl Regional Medical Center Landstuhl, Germany; Blanchfield Army Community Hospital, Fort Campbell, Kentucky; Irwin Army Community Hospital Fort, Riley, Kansas; Bayne-Jones Army Community Hospital Fort Polk, Louisiana; and Bassett Army Community Hospital Fort Wainwright, Alaska. Madigan Army Medical Center, Tacoma, Washington; Womack Army Medical Center Ft. Bragg, North Carolina; Fort Belvoir Community Hospital Ft. Belvoir, Virginia; and Evans Army Community Hospital, Ft. Carson, Colorado. How do I sue the Army for medical malpractice? 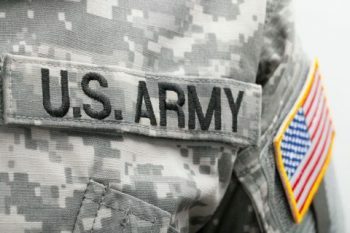 The rules are different when suing the Army for malpractice than if you were suing a civilian doctor. For example, you must first file an administrative claim (an SF95), the time limits are different, especially for children and where you must file the case is different. Therefore it is important to consult a lawyer who has experience suing the Army for malpractice to make sure your rights are protected. Our law firm handles Army birth injury cases, Army wrongful death cases, and all other types of Army medical malpractice cases occurring in these high risk Army hospitals as well as all other Army hospitals and clinics worldwide, including all those listed below. You may contact us by phone toll free at 1-877-695-8757 (24/7) or by e-mail at LawHelp@MilitaryMedicalMalpractice.com or by filling out the form on the right side of this page. We offer free, confidential consultations and there is no fee unless we get a recovery for you. Free Consultations. There is no fee unless there is a recovery for you.